You may often look back (or cringe) at your fashion choices of past decades – the billowing flares, legwarmers and platform boots. Rosie Khdir has found an exhibition in Paris lets you relive the good, the bad and the ugly. 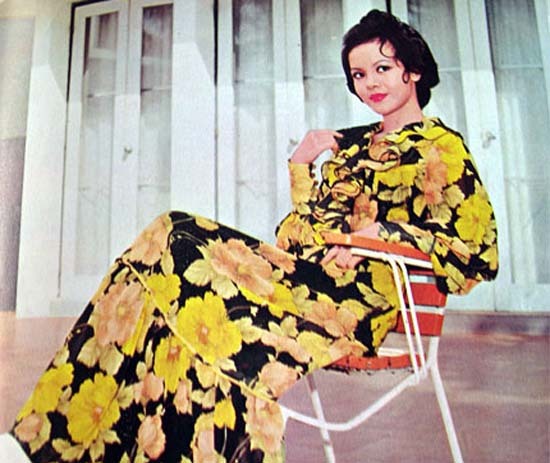 The famous Parisian museum, Les Arts Décoratifs, has decided to put on an exhibition that revealed the wonders of modern fashion and textiles from the past four decades. Forty years of fashion is separated into two parts, the first featuring masterpieces of the 1970s and 1980s and the second the years 1990 to 2000. This part of the exhibition will feature big names such as Yves Saint Laurent who characterised this fashion era with his “ready-to-wear” collections inspired by the styles of the 1940s. Other designers on the scene at this time included Sonia Rykiel, who had a strong presence since the late ‘60s as well as Kenzo, Dior, and Karl Lagerfeld who designed for Chloe at the time. In the ‘80s section of the exhibition you will see design that are all about independence, freedom and glamorous personal expression. The likes of Jean Paul Gaultier symbolised the “era of insolence” through his collections which challenged conservatism. In this decade we see the rise of angular and asymmetric clothing thanks to Yohji Yamamoto and exaggerated silhouettes and oversized shoulder pads thanks to Thierry Mugler and Claude Montana. This same period saw Karl Lagerfeld’s move to Chanel in 1983, were he along with the likes of Christian Lacroix, Jean Patou reignited the love for luxurious haute couture. I will hold my tongue right here, as to know any more about the exhibition would spoil it for you. Just know that you will be wowed by the creations of some of the most influential designers in the world. P&O Ferries can help you on your way to Paris with the Dover to Calais service starting from just £30 for a car and nine people. From Calais it is only a short drive or train ride to the centre of Paris. Some centuries back, Lord Byron observed that the British winter ended in July only ‘to recommence in August.’ It was a fair complaint. Back then England was mired in the Mini Ice Age with its people shivering through gloomy winters that were studded with snowstorms, frosty mornings and even – in one frightful occurrence – an avalanche in Lewes. Two hundred years on and two months into a sticky, sweat-ball of a summer, England seems quite a different place altogether. We’re a week or so shy of August and the beginning of Byronic winter, but there is no sign of anything more on show in London than nodding desk fans, long evenings out in simmering pubs, summer dresses and over-size sun glasses. Not, of course, that all of this is particularly comfortable. As a city, London is about as well equipped to withstand a warm spell as a Goth on the beach. The buildings are cut out of thick Portland stone, air conditioning is a Mediterranean myth and – no matter how much the windows are opened up – the heat lingers in a room like a drunk at a party. P&O Ferries offer a remedy to all of this. Just think about it for a moment: a short train or car ride out of the city to the coast where you can relax with a sharp breeze at your back. From there you can enjoy a bracing jaunt across the Straights of Dover; you can pick a mini cruise or take advantage of one of their new summer vouchers. France – a country far more accustomed to heat and perfectly equipped to show you a fine time of it, is just a few miles and a few pounds away. Bagatelle amusement park is just 45 minutes from Calais situated off exit 25 on the A16 motorway near Berck sur Mer just south of Le Touquet. The park has 30 attractions and a new 3D movie show. Aqualud is situated on Le Touquet Plage just 45 minutes drive from Calais. It’s one of the largest water parks in Northern France with a giant pool with waves, slides, jacuzzis and a solarium. There is also an outdoor section open in summer with 3 more pools, flumes and rides. As the Stedelijk Museum undergoes a renovation and expansion, a temporary set of exhibitions will be held in the Stedelijk’s historic building. Rosie Khdir finds out more. 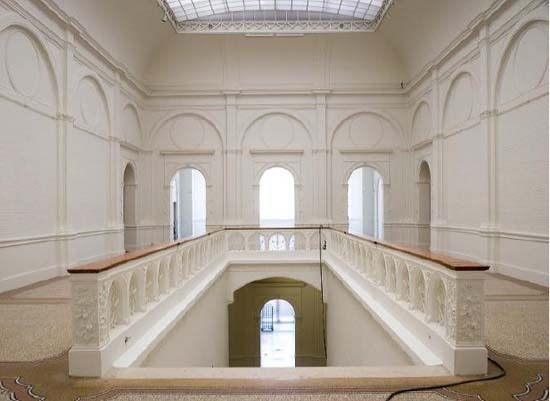 The Temporary Stedelijk, the brainchild of museum director Ann Goldstein, was seen an opportunity to utilise the unfinished historic building while the museum gets a revamp. The building will offer visitors a preview of its renovation while its galleries serve as a platform for a variety of exhibitions including Taking Place and Monumentalism—History and National Identity in Contemporary Art Proposal for Municipal Art Acquisitions 2010. This exhibition “reintroduces the Stedelijk Museum by addressing its history, the spatial and temporal conditions of the unfinished building and how artists use, occupy and animate museum spaces,” according to a recent press release. Some of the renovated gallery areas on the upper floors of the building will be designated spaces for works from of the museum’s collection. This will include 19th to 21st century painting, sculpture, photography, works on paper and applied industrial and graphic design. This exhibition will take place on the ground floor galleries of the Temporary Stedelijk and will show works by artists who live and or work in the Netherlands. 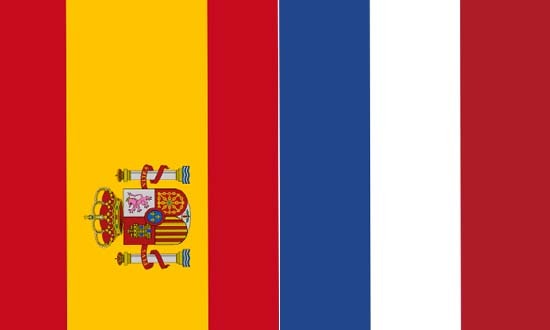 It will focus on the concepts of history and national identity. The exhibition is curated by Jelle Bouwhuis, head of Stedelijk Museum Bureau Amsterdam, and features the work of 19 artists selected by this year’s Municipal Art Acquisitions jury. The Temporary Stedelijk at the Stedelijk Museum is open from 28th August 2010 – 9th January 2011. If you would like to go and take a look around P&O Ferries can help on your way with its Hull to Rotterdam overnight ferry service, starting from £149 each way. As we approach the height of the summer season it’s worth having a look at some of the wonderful cultural festivals that are taking place over on the opposite side of the English Channel in the next few months. And with P&O Ferries operating cheap deals between Dover and Calais this summer it’s easy to pack a tent, hop in your car and head to some of France’s most beautiful locations for a feast of wonderful music. Whereas in Britain we tend to associate our summer festivals with large amounts of outdoor beer consumption whilst listening to live rock music, over in France they seem to take a much more cultural approach to the seasonal festivities. 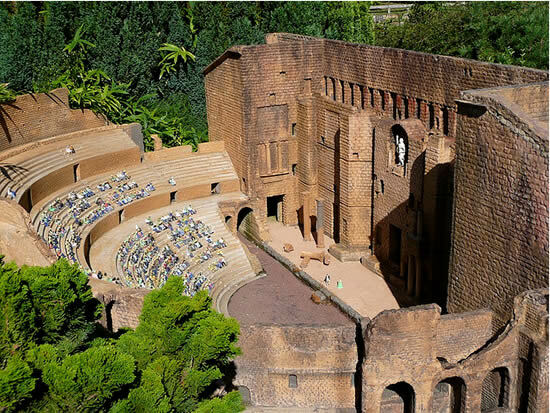 For example, in Lyon we have a two month long festival from June to August, called Les Nuits de Fourviére, which is hailed as a demanding multi-disciplinary programme of theatre, dance, music and film. Meanwhile in Beaune, Burgundy there is a wonderful festival that runs between 3 – 26 July called Festival International d’opéra baroque de Beaune which delivers a fantastic series of concerts featuring Opera and what is known locally as ‘sacred music’. More classical music can be found in Nancy, Lorraine at the wonderfully named Nancyphonies – Festival de Nancy between 8 July and 5 August. Over in Vallée de la Vézére, Limousin you’ll discover the Festival de la Vézére between 10 July and 21 August. This takes place in a pretty town along the banks of a river and features classical music including over 18 performances by renowkned soloists. Still not satisfied? Ok then let’s move over to Normandy and the Heures Musicales de l’abbaye de Lessay in Lessay. This is quite a spectacular event that showcases some of the world’s greatest performers in both religious and secular classical and baroque music. It runs from 13 July to 20 August. Finally, although there are many more that I could mention, a quick nod to the Festival d’lle de France, which runs between 4 September and 11 October and consists of around 30 concerts in various historic venues, featuring music from baroque to jazz. The whole of France is alive with music at this time of year and the best way to get to them, many in rural locations, is by car – so have a look at our offers page for more information about getting a cheap ferry to France with P&O Ferries. It’s festival season all over Europe and this weekend Belgium will host its annual Cactus Festival. Rosie Khdir discovers this eclectic event that has been running for over 20 years. 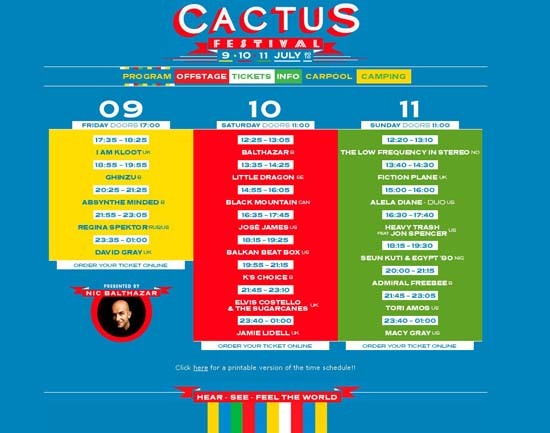 The Cactus Festival is an award winning intimate outdoor event where stars perform on a single stage at Minnewater, also know as Lake of Love Park in Bruges, Belgium. This year’s line-up includes artists such as David Gray, Jamie Lidell and Macy Gray as the headliners as well as Regina Spektor, Elvis Costell & The Sugarcanes and Tori Amos. The festival runs from the 9th to 11th July and features all types of music, from rock, to dance to reggae and there is endless fun to be had with DJs, entertainers and children’s performers. You will have your pick of food and drink too with stalls selling delicious food form all over the globe including classic sandwiches, fries, Italian ice cream, Moroccan, Vietnamese, African and Turkish dishes. For the adults who want to party until the dawn there are after parties, one being held by Red Bull featuring feat. Tom Barman Lieven Verstraete and DJ Fallujah. More information on camping arrangements, the full line-up and directions to Minnewater visit the official website: cactusfestival.be. If you fancy making your way to this festival the P&O Ferries can get you there. A Dover to Calais crossing starts from just £30 for a car and up to nine people and from there it is just a short drive to Bruges. 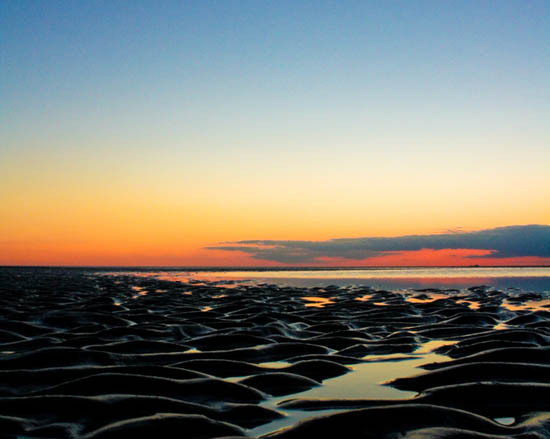 If you long for a holiday destination undisturbed by the hectic culture that a metropolis brings then why not head to the beautiful beaches of the Wadden Islands. Rosie Khdir takes a look. The untouched Wadden Islands of the Netherlands attract thousands of visitors every year, thanks to the nature reserves, wildlife, quaint villages and gorgeous beaches. In June 2009 UNESCO added the Wadden Sea to the World Heritage List due to its unique variety of plants and animal habitats; all you budding David Attenborough’s out there are in for a treat! Texel is that the largest of the Wadden Islands and is just 30 mins by ferry from Den Helder. There are seven villages on the 20-mile-long island, as well as a beachcomber museum and the EcoMare Seal rehabilitation centre. Getting around is easy by car, and there is also a great transport system as well as extensive cycle paths. Vlieland is a little harder to get to, it’s a two hour crossing from Harlingen and cars aren’t allowed on the mainland, but the scenic views and tranquillity you experience are definitely worth the trek. The island of Ameland has four villages and the fabulous nature reserve Het Oerd which shelters rare flower species. 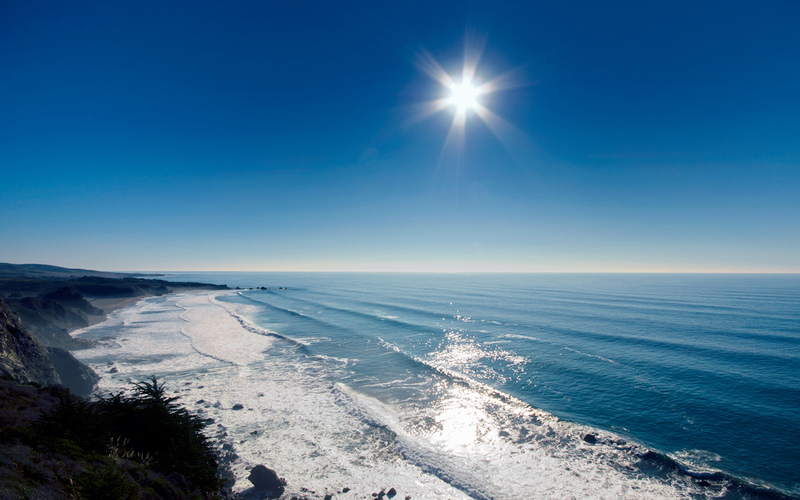 You can also explore high sand dunes and lakes as well as the tidal marshes and sand flats. There is a beautiful old lighthouse on the Oranjelaan in Hollum was built in 1880 and stands almost 200 feet tall. The island is also home an enchanting 17th century gothic church and a recreational park called De Vleijen. Ameland also has a thriving bird community and the seagull colony in Het Oerd can be visited on excursions during the breeding season. Last but not least we have Schiermonnikoog which is a 45 minute boat ride from Lauwersoog. This island has been classified as a National Park by the Dutch Government due to its picturesque woodlands and sand dunes. Again cars are not permitted on the island but everything is within walking distance and there are cycle paths galore! If you want to see these beautiful islands for yourself then P&O Ferries can help with its overnight ferry service from Hull to Rotterdam, from £149 each way. You might think that ferries aren’t an obvious place to find a few laughs, but P&O Ferries PR Team are sharper than most. Tomas Mowlam checks out their Twitter feed. Many companies and people who use Twitter misunderstand it and simply use it to broadcast/spam news at people. P&O is one of the companies that gets it right. 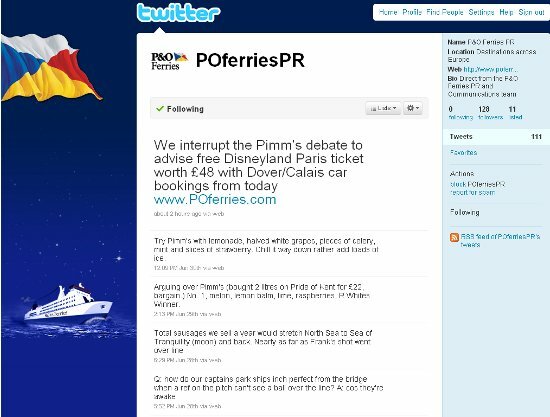 @POFerries deals with the more serious side and talks with customers about onboard offers and news, while @POFerriesPR deals out the banter like an excited younger sibling. We’ve collected some of our favourite tweets below for your reading pleasure.